Peace River Wildland Provincial Park features a number of beautiful trails for hiking. Located in the valley of the Peace River, stretching from Dunvegan Provincial Park to the Smoky River confluence and 30 kilometers upstream of the Smoky River valley. Included in the park is the Spirit River valley at the confluence with the Peace. Some of the wildlife you may come across while hiking here are: deer, elk, wolf, bears and a wide variety of birds. Hiking trails can be found throughout the park, allowing visitors to view birds and wildlife in their natural habitat. The trail connects to the Friendship Trail that links the towns of Peace River and Grimshaw. It is located on a quarter section 10 kilometers west of the Town of Peace River, south of Highway 2 on Range Road 233. 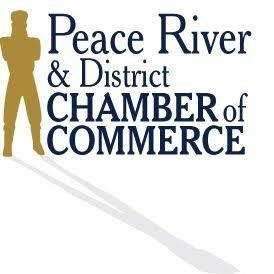 In the town of Peace River you can take a long walk along the dyke which stretches from one side of town to the other, giving you a beautiful view of Peace River and our community. To get a spectacular view head up to Twelve Foot Davis’ Gravesite is on Grouard Hill overlooking the Smoky, Peace, and Heart Rivers. If you stop halfway down the hill and follow the trail it will lead to Dr. William Greene’s Cairn! Located 3 km North and 5 km West of Grimshaw off Highway 35. Offers 4.5km of hiking trails around the lake and allows you to have a chance to see over 160 different species of birds such as song birds and waterfowl. Located north of town starting on the Highway 2/Highway 744 overpass between Kauffman Hill and George Hill, heading up to the Peace River Agricultural Society Grounds in Northern Sunrise County. Just 24 km northwest of Peace River on Highway 743 (Weberville Road) Leddy Lake offers a hiking trail around the lake. Located in Nampa 27 km south of the Peace River, along Highway 2.